Nothing made me happier than catching my first-ever shark, this Brown Smooth-hound. Photo courtesy of Wikiwand. Shark Week isn’t for a few months. I desperately wish I could’ve timed this to release then, but I didn’t want my readers to wait around for months and lose interest. I’ve already had enough women lose interest in me. Still, the moment when I caught my first shark was something special. 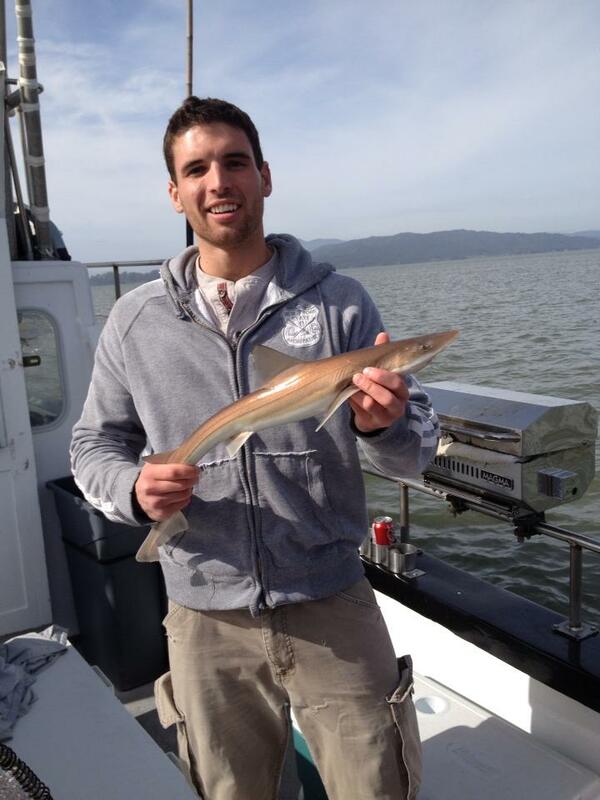 I was fishing with Sole-Man Sportfishing out of San Francisco, and it was my second attempt for Striped Bass, sturgeon, and sharks in the Bay. On the first trip, I’d went with two friends, Christopher Puckett and Ben Blanchard. One caught a respectable striper and a Bat Ray while the other caught a Starry Flounder (a fish I’ve seen caught several times but have yet to boat myself). I got skunked. It just so happened that for Round Two, Ben and I had returned. We were on a different charter and immediately liked the captain. He was about the least stereotypical charter boat captain I’ve ever met. In 30 or more charter trips, he remains arguably my favorite. Captain Don Franklin was raised in inner city Oakland and had a rough upbringing. He told us that many of his friends had gotten caught up in gangs, but he’d gotten caught up in fishing, and it changed his life. Little did I know, he was about to change mine. Captain Don had given Ben and I a special deal because he was training his son to be a deckhand. As the day progressed, his son caught on quickly. Despite being maybe 13 or 14 years old — the youngest deckhand I’ve ever seen — he was polite, professional, hardworking, and learned quickly. The stripers remained elusive early, but the first fish I caught was a shark. It was small, but as I got it close to the boat, I was ecstatic. It was a shark! 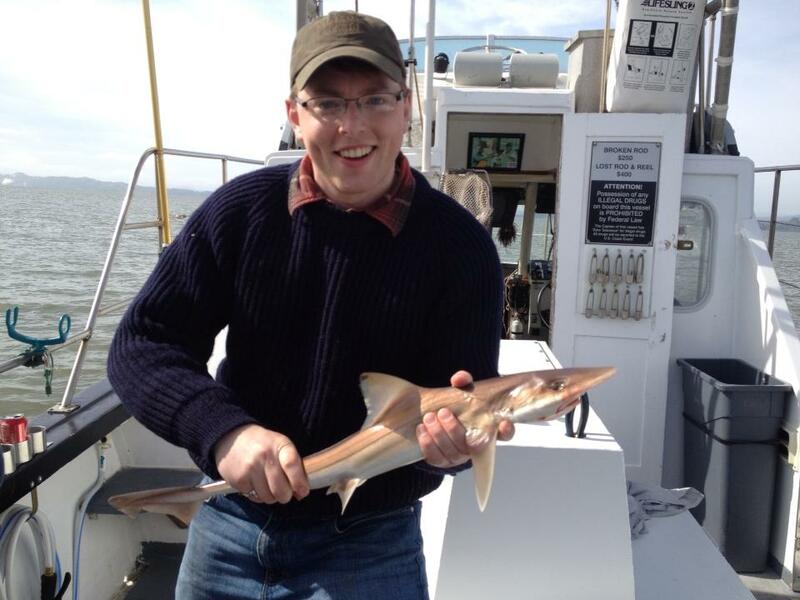 My first Brown Smoothhound was also my first shark, and I was pretty happy about it. Freaking out like a small child who’s just been granted his heart’s desire, the two-foot creature writing on my hook made my day. The captain wasn’t too impressed with the Brown Smoothhound I’d just caught, but he appreciated my enthusiasm. Ben caught one early, too, and after we’d posed for a few quick pictures, he tossed back the relatively harmless little sharks. Ben posed with his (slightly larger) first shark. We motored to the next spot and happened to pass the captain with whom we’d went striper fishing years before, and Captain Don told us it was the other guy’s last trip. Apparently, we weren’t the only clients who’d been disappointed by the experience. Captain Don cracked jokes, informed us, and made the day all-around pleasant. We actually caught several more species that day, but the last hookup I had ended tragically. My rod sat in the rod holder, minding its own business, when something massive picked up my bait. It ran hard as I lifted the rod, and I feared it might spool me. With the lightest possible pressure, I gently put my thumb on the spool, and the 20-pound mono snapped like thread. I was informed I’d likely just lost a massive Sevengill Shark of several hundred pounds. This is still the largest fish I’ve ever hooked. My own personal Shark Week wasn’t bad, but that fish would’ve made my life — especially considering that those sharks are both edible and delicious. 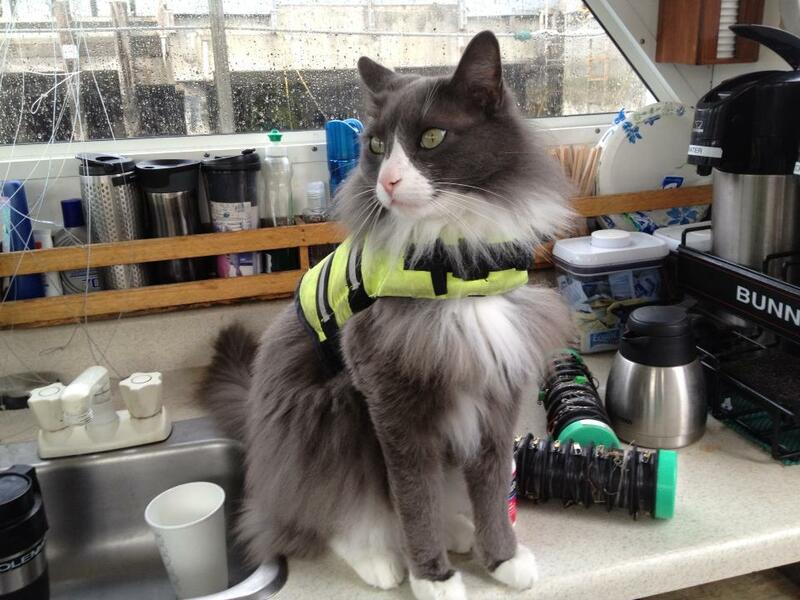 I pouted a bit, but Captain Don quickly lifted my spirits as his honorary deckhand, a cat in a life vest, pranced around the cabin. I wasn’t kidding. He really had a cat in a life jacket on board. That’s not a joke. He really had a cat in a life vest on board, and though it made my allergies flare up all day, it was still the most unique fishing experience I’ve had on a boat. 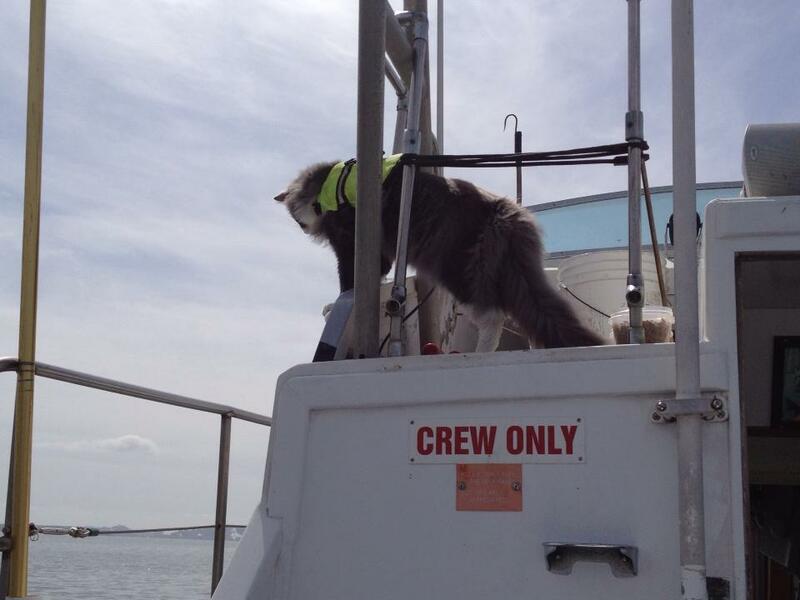 Apparently, the cat jumped in once, and Captain Don had to net it to bring it back on board. Apart from being one of my most unique days fishing, it remains one of my best, despite losing the fish of a lifetime. Read the next entry in #SpeciesQuest here: Species #44 — Bat Ray.